Died Sydney, NSW, 25 August 1840, aged "68"
In 1817, John Onions (or Onion) was a married man in his late forties, with several grown children, an iron founder by trade, and a keen musical amateur in the troubled industrial northern midlands of England. On 9 June that year, in his home town of Pentrich, Derbyshire, he and other iron workers joined disgruntled local weavers and quarrymen to organise a protest march on London, only to be arrested the military in Nottingham. Convicted of treason in September, three of the leaders were executed, while nine other ringleaders, including Onions, pleaded guilty in exchange for the lesser penalty of transportation for 14 years. He arrived in Sydney as a convict on the Isabella in September 1818. Suffering from a "rupture", Onions was soon deemed unsuitable for heavy labour, and after passing through several assignments, found a sympathetic placement as "government servant" to the philanthropist and reformer Edward Smith Hall. In Onions's native midlands, music was widely cultivated among the working classes, and he himself was an experienced singing instructor, music copyist, and wind instrumentalist. As he later advertised in Sydney, he had been a practitioner of sacred music since the late 1780s, and, as a result had memorised "most of the tunes now in use in the Churches and Chapels in England." 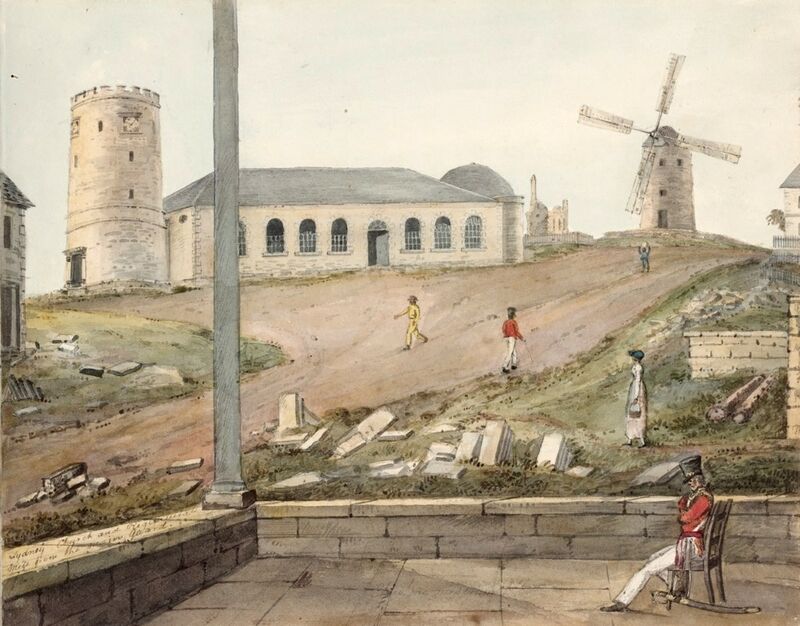 Hall encouraged Onions to put his experience to use around Sydney, and between 1823 and 1825 he was engaged as choir leader St. John's Church, Parramatta and later at St. Philip's, Sydney, as well as leading the the music on Sunday evenings at the Wesleyan Chapel, and giving singing lessons to school children. Onions was granted a ticket-of-leave in 1825, and an absolute pardon in 1835. He had been working for many years delivering Sydney newspapers, when, on 31 October 1837, he slipped and fell into an excavation at the south end of Pitt Street, towards Liverpool Street, and broke his hip. A small sum raised by concerned subscribers allowed the elderly invalid to advertise for work as a music copyist, an instructor in "sacred music", and "teacher of the clarionet and German flute". He died, reportedly aged 72, on 25 August 1840. In the 1810s, industrial workers in England's midlands and north were suffering a period of unprecedented economic hardship, as a result of unemployment and falling pay rates, due in part to the uptake of machine technology in industrial processes. The Pentrich rebellion was one of several workers' responses. Government intelligence suggested that a workers' uprising was planned at Nottingham on 9 June 1817. On the previous evening, 8 June, at the White Horse inn, in the village of Pentrich, in Derbyshire, a gathering of discontented local workers (weavers, quarrymen and iron workers) was addressed by Jeremiah Brandreth (c.1790-1817), an unemployed stocking-weaver. Brandreth brought news from a secret organising committee of the mass protest planned at nearby Nottingham. If the Pentrich men would join it, Brandreth promised that they would be part of a force of many thousands setting out to march to London. Here is a meeting on the 8th of June, at the White Horse at Pentridge; the persons who are there, from that which passed amongst them, could not have met by accident . . . they were to meet at that time for the purpose of arranging the order of their march, and the disposition of their proceedings on the following night when the insurrection was to take place . . . They were to assemble at Hunt's Barn; some of them (the Southwingfield people) were to be in readiness . . . then Brandreth pointed out upon the map or plan, which way they were to march. The government oppos'd must be. Several witnesses also reported that Brandreth said that "a band of music" would meet them on the way to Nottingham, and take part in the march, perhaps a matter of at least incidental interest to our musician, Onions. On the 9th of June I was at Nottingham, and found the town in a very agitated state; I observed marks of the agitation by groups of people collected in the streets: there was a general apprehension in the town. On Tuesday morning, the 10th, I went on the road towards Eastwood on horseback; in the villages within a mile of Eastwood, the people were very much alarmed, most of them out of their houses: I proceeded till I came within a quarter of a mile of Eastwood, where I met a considerable body of men, armed with pikes; I returned, and procured troops from the barracks . . . eighteen privates, commanded by captain Phillips and a subaltern officer, and proceeded with them towards Eastwood. When we got as far as Kimberley, four miles from Nottingham, and about two miles short of Eastwood, the people told us that the mob had dispersed; we followed them, and found a quantity of arms, guns, and pikes scattered about upon the road. I continued the pursuit till within about half a mile of Eastwood, when I turned off on the left after a party which I had observed in that direction. I took with me only one dragoon - the number I pursued consisted of thirty or forty; they were dispersing and throwing away their arms: we secured two or three, and then we turned towards Eastwood again, after the main body, and came up to them just at Langley-mill, which is about half a quarter of a mile from Eastwood; they were at that time all dispersed, and the mob were pursuing them in all directions, and there were thirty of them brought to Nottingham . . .
. . . unlawfully maliciously and traitorously assembled and gathered together against our said lord the king . . . by force and arms to subvert and destroy the government and constitution of this realm at by law established in contempt of our said lord the king and his laws to the evil example of all others contrary to the duty of the allegiance of them the said Thomas Bacon, Jeremiah Brandreth otherwise called John Coke otherwise called the Nottingham Captain, George Weightman, William Turner, Joseph Turner otherwise called Manchester Turner, Isaac Ludlam the elder, Isaac Ludlam the younger, Samuel Ludlam, William Ludlam, Samuel Hunt, Edward Turner, Robert Turner, Charles Swaine, John Onion the elder, John Mac Kesswick, John Hill, Joseph Rawson otherwise called Joseph Thorpe, Joseph Topham, German Buxton, Edward Moore, Josiah Godber, George Brassington, William Adams, William Hardwick, John Wright, Thomas Ensor, Joseph Savage, John Moore, William Weightman, Thomas Weightman, Joseph Weightman the younger, James Weightman, Thomas Bettison, Alexander Johnson, John Bacon, Joseph Weightman the elder, James Barnes, Edward Haslam, John Horsley, Samuel Briddon, William Barker, William Elliot, James Taylor, Joseph Taylor, Benjamin Taylor, and Samuel Walters otherwise called Samuel Dudley. The trials of Jeremiah Brandreth, vol. 1, 6.
. . . John Onion the elder late of the said parish of Pentridge in the same county of Derby labourer. The trials of Jeremiah Brandreth, vol. 1, 4.
. . . I saw one of the Onions, but I do not know his name, it was an elderly man. I have borne a good character before, and I beg pardon for my offence. On Friday the 7th of November, Jeremiah Brandreth, William Turner, and Isaac Ludlam the elder, were drawn on a hurdle to a platform erected in front of the county gaol of Derby, where they were hanged until they were dead; when they were cut down, and their heads were severed from their bodies . . . George Weightman, Thomas Bacon, John Bacon, Samuel Hunt, Joseph Turner, otherwise called Manchester Turner, Edward Turner, John Onion the elder, John Mac Kesswick,  German Buxton, John Hill, and George Brassington, received his majesty's pardon, upon condition of being transported for life. 49, iron worker, of Pentrich"
That would make his birth year 1768, and him somewhat older than was later suggested in Australia. Otherwise, apart from his interest in radical politics (perhaps borne out by his later association in Australia with Edward Smith Hall), nothing is known of his early life, except, we can assume, that he acquired early the musical skills and interests he later manifested in Australia, and possibly, too, his attachment to the church. According to a local legend, some of the 1817 rebels swore an oath before the altar of the parish church of St. Matthew. On the evening of 9 th June an Insurrection broke out in Pentrich, S. Wingfield, Swanwicke, and Ripley, which was quell'd next day at or in the neighbourhood of Kimberley. [FOOTNOTE] * It has hitherto never been chronicled that the poet Shelley witnessed the execution of Brandreth, Turner, and Ludlam, on November 7th, 1817, at Derby; the ghastly details of which made a great impression on his mind. On the previous day the Princess Charlotte died in childbirth. Shelley seized the occasion to write a vigorous pamphlet, drawing a contrast between the two deaths, and giving various details respecting the Derby execution. It is an 8vo pamphlet of 16 pages, with the singular title: "We pity the plumage, but forget the dying bird." An address to the people on the death of the Princess Charlotte. By the Hermit of Marlow. This pamphlet, which recently came into our hands, is one of extreme rarity, as may be judged from the fact that Mr. Rosetti was unable to procure a copy for reference, when writing his recent life of the poet, and misrepresents its contents. The disturbance was ingeniously seized upon by the vicar of Pentrich, John Wood, to further a subscription towards the "intended Chapel of Ease at Ripley." In a circular signed by him, and issued in 1819, he says that the smallness of church accommodation in that parish "has occasioned a neglect of religious duties and morals, the lamentable effects of which during the last two years are but too well known, and have rendered it an imperious duty upon the well-disposed inhabitants to take some means for stemming the torrent of irreligion and disaffection." [Add. MSS., 6,673, f. 112.] Ripley church was built in 1821. PENTRICH, a parish in the hundred of MORLESTON and LITCHURCH, county of Derby, comprising the townships of Pentrich and Ripley, and containing 2143 inhabitants, of which number, 508 are in the township of Pentrich, 2¾ miles (S. W. by S.) from Alfreton . . . The church is dedicated to St. Matthew. There are places of worship for Independents and Unitarians. The parish is bounded on the west by the river Amber. The population of the township of Pentrich has decreased one-third since the disturbances which broke out there in 1817, when the agents of the Duke of Devonshire razed many of the houses to the ground. It had anciently a market and two fairs, the latter are still held on the Wednesday in Easter-week and October 23rd. At Butterley are iron-works, established about 1793 . . . There are also considerable coal and iron-stone works in the parish . . . The Romans had a camp on the adjoining common, near which passed the Iknield-street. About four miles from Belper we passed through Pentrich, a small village, but of some note in the local history of this district. During the wars between King Charles the First and the parliamentary forces of that period, Pentrich Common was the theatre of military operations; and in the year 1817 it was the scene of one of the most silly and absurd attempts that ever entered into the contemplation of men. Here, in the month of June, an infatuated rabble, nearly without arms and destitute of a leader, assembled together for the purpose, as they avowed, of overturning the government of the country. Such conduct would really excite contempt, were not the consequences frequently of too serious a character to admit of such a feeling. These misguided men entertained the idea of progressively increasing their number by terror. As they proceeded, they demanded arms and men at every dwelling; and being denied admittance at a house in the vicinity of  Pentrich Common, Brandreth, the reputed captain of this "set of lawless resolutes", shot a man who refused to accompany him in this mad expedition. More outrageous conduct never characterised the proceedings of any body of men, however hardened and atrocious they had previously been. The scheme ended, as all such attempts generally do, in the speedy dispersion of the force collected, and the consequent punishment of the most active. About forty of these revolutionists were convicted at the ensuing Derby assizes. Brandreth, the murderer of the man at Mrs. Hepworth's house, was executed, as he richly deserved; two of his less culpable associates shared the same fate, and the greater part of the others, who had pleaded guilty, were transported. It is impossible to think of this transaction without reverting to the generally disturbed state of the country when the South Winfield and Pentrich men undertook their hazardous expedition, and the means that were resorted to to organize disaffection and foment disturbances. The agents in this wicked business were far more reprehensible than the men whom they misled; they were labouring under many privations, their sufferings had made them desperate, and prepared them for the commission of crime and outrage. Under such circumstances, it was worse than cruel to send spies and informers among them, to make them rebels, that they might be punished for being so. In the densely peopled manufacturing districts of Yorkshire, Lancashire, and Derbyshire, music is cultivated among the working classes to an extent unparalleled in any other part of the kingdom. Every town has its choral society, supported by the amateurs of the place and its neighbourhood, where the sacred works of Handel, and the more modern masters, are performed with precision and effect, by a vocal and instrumental orchestra consisting of mechanics and work people: and every village church has its occasional holiday oratorio, where a well-chosen and well-performed selection of sacred music is listened to by a decent and attentive audience of the same class as the performers, mingled with their employers and their families. Hence the practice of this music is an ordinary  domestic and social recreation among the working classes of these districts; and its influence is of the most salutary kind. The people, in their manners and usages, retain much of the simplicity of "the olden time"; the spirit of industrious independence maintains its ground among them, and they preserve much of their religious feelings and domestic affections, in spite of the demoralizing effects of a crowded population, fluctuating employment, and pauperism. Their employers promote and encourage so salutary a recreation, by countenancing, and contributing to defray the expenses of their musical associations; and some great manufacturers provide regular musical instruction for such of their work-people as show a disposition for it. "It is earnestly to be wished" says a late writer, "that such an example were generally followed, in establishments where great numbers of people are employed. Wherever the working classes are taught to prefer the pleasures of intellect, and even of taste, to the gratification of sense, a great and favourable change takes place in their character and manners. They are no longer driven, by mere vacuity of mind, to the beer-shop; and a pastime, which opens their minds to the impressions produced by the strains of Handel and Haydn, combined with the inspired poetry of the Scriptures, becomes something infinitely better than the amusement of an idle hour. Sentiments are awakened which make them love their families and their homes; their wages are not squandered in intemperance; and they become happier as well as better." On Monday arrived the ship Isabella, Captain Berry, from England, with 227 male prisoners, under the Superintendance of Dr. HALLION, R. N.. Two of the prisoners died on the passage, and one was drowned. The military guard consists of a detachment of the 48th Regiment, under the orders of Lieutenant REEVE. - Passengers, Captain and Mrs. Minchin. The Isabella left England the 3d of April, and called at Rio, where she left the Tottenham. Monday 14. Septr. 1818 !!! . . . On this same day in the afternoon, anchored also in the Harbour, the Male Convict Ship Isabella. Commanded by Capt. Robt. Berry, and of which Mr. William Hallion of the R. Navy is Surgeon Supdt., with 227 Male Convicts from England, from whence She sailed on the 3d. of April last - touching at Rio Janeira [sic] - . . . The Guard over the Prisoners come out in the Isabella, consists of Detachments of the 48th. & 69th. Regts. Commanded by Lieut. Reid of the former Corps. - The Convicts on board this Ship have all arrived in good Health. - William Minchin Esqr. late Capt. in the 102d. (N.S. Wales) Regt., with his Family is come out in the Isabella as a Free Settler to reside in this Colony. Tuesday 22. Septr. 1818. I this day mustered and Inspected in Person the whole of the Male Convicts recently arrived from England in the Glory and Isabella Transports (and from which Ships they were landed this morning) - previous to their being Distributed in the usual manner. The Prisoners were all in good Health - looked well - and had very few Complaints. The magistrate's court at Parramatta wrote to the Colonial Secretary in Sydney, on 2 October 1823, inquiring to whom Onions was regularly assigned; [added at foot of page] "answer - to E. S. Hall on the 19 June 1823, Col, Sec's Office, 6 October 1823." To His Excellency Sir Thomas Brisbane K.C.B / Governor and Commander in Chief / &c. &c. &c.
That John Onions, prisoner of the Crown lately the assigned Government servant of Memorialist but ["lately" crossed out] now ordered into Barracks on account of not sleeping under the roof of Memorialist is one of those deluded men who in the year 1817 was convicted at Derby of sedition sentenced to transportation for life and arrived here in the month of September 1818 in the convict ship Isabella Wallace master. That the said John Onions being ruptured and upwards of fifty years of age was found incapable of labour & ever since his arrival in the colony though assigned originally as a Government servant to divers individuals earned his own subsistance by writing teaching & performing sacred music. That the said John Onions formerly led the Choir of Parramatta Church & while he was in the service of Memorialist he led the Choir of St. Philip's Church in the afternoons of Sunday and in the evenings of Thursdays and the Choir of the Wesleyan Chapel of Sabbath evenings. That the said John Onions played at Festivals by the express permission of Memorialist but not at public houses. And Memorialist not requiring all the music which the said John Onions could furnish as to writing & playing during the week Memorialist permitted him to teach sacred music to the schools respectively of Henry Rainford, Daniel Burstow & others by which means the habit of [verso] [? playing] hymns was much promoted among the children of Sydney and Memorialist always considered the said Onions to be in this respect a valuable member of society. That by these means aided by the occasional orders for written music of Memorialist which were always paid for the said John Onions earned for himself a frugal subsistence and during the six years he had been in the Colony was never brought before any Magistrate for any fault but always behaved himself as a quiet sober man. Memorialist therefore humbly prays Your Excellency to grant unto the said John Onions a Ticket-of-leave - or to permit him to sleep out of barracks & to be under the guidance & protection of Memorialist. [Annotation:] John Onions in whose behalf this Memorial is written, is an aged, infirm Man, and incapable of ordinary labour as a Prisoner of the Crown - I believe him to be in other respects worthy of the indulgence herein prayed for in his behalf / [signed] T. Campbell, J.P.
[Annotation:] John Onions was employed to conduct the Psalmody in the Church of St. Philip on Sunday afternoons, and Thursday evening, nearly 6 months Viz. from 17 March to 7 Sept'r. 1824 / [signed] William Cowper. DISBURSEMENTS . . . ECCLESIASTICAL ESTABLISHMENT; St. Phillip's Church, Sydney. Ditto T. Edwards, for a mop, 1 hair, and 2.rush brooms, 8s. 6d. binding 4 music books, 20s. - 5 70 . . .
NOTICE. COLONIAL SECRETARY'S OFFICE 26 Nov 1825 HIS EXCELLENCY the GOVERNOR has been pleased to give Directions . . . that Tickets of Leave be granted to the Persons undermentioned; viz . . . John Onions . . . Isabella, 1818. By His Excellency's Command, F. Goulburn, Colonial Secretary. TICKETS OF LEAVE . . . Isabella (I). John Onion, the elder, Sydney . . . The first Wesleyan Chapel in Sydney opened in 1817 and was situated in Princes Street. A larger Chapel opened in 1821 on the west side of Macquarie Street, near the corner of King Street . . . The minute book of the Chapel Committee for the Princes Street and Macquarie Street Chapels records a resolution passed on 12 May 1828, "That John Onions be in attendance every Monday evening for the purpose of raising the tunes". Onions evidently used a violin or bass viol, for a payment of 6s for "music strings" is also noted, in addition to his quarterly salary of £2 3s 4d. When he purchased a bassoon for £5, his salary increased to £3. PUBLIC NOTICE. THE Tickets-of-Leave granted to the following Persons have been cancelled, for the reasons set against their names respectively, viz. . . . John Onions, Isabella (1), for harbouring a runaway Female. Public Notice. COLONIAL SECRETARY'S OFFICE. SYDNEY, NOVEMBER 21, 1831. THE following Prisoners of the Crown have obtained Tickets of Leave since the last day of Publication, viz. . . . SYDNEY. . . . Onions John, the Elder . . . Principal Superintendent of Convicts' Office, 8th March, 1836. NOTICE. THE Conditional Pardons granted to the undermentioned Persons are now lying at this Office, and will be delivered to the respective Parties, on payment of the Fees due thereon to the Public. Isabella (1), John Onion the elder. Ditto, Joseph Turner alias Machester Turner. APPEAL TO THE HUMANE. JOHN ONIONS, aged 64 years, who was for many years a distributor of the Sydney Newspapers, and whose punctuality and attention are well known, had the misfortune on the 31st October last, of falling into the undefended excavation in Pitt-street, between Bathurst and Liverpool-streets, thereby breaking his thigh and dislocating the hip bone; in consequence of which he has been, and is still, incapable of following his occupation. He is, therefore, constrained to throw himself upon the consideration of the benevolent, who, even in this infant Colony, are ever ready to assist suffering humanity. The Proprietors of the various Papers will feel great pleasure in appropriating the amount of such Subscriptions as may be received by them, in the way most likely to contribute to the comfort of this unfortunate man. JOHN ONIONS, many years a News-carrier in Sydney, who being by an unfortunate accident disabled from earning a livelihood, was induced to offer an appeal to the charity of the Public, gratefully returns his sincere thanks for the undermentioned donations received. SACRED MUSIC. THE undersigned (many years one of the Distributors of this Paper) being unable, from infirmity, to follow that occupation, is desirous to employ his time in teaching SACRED MUSIC, with which he has been well acquainted for the last fifty years; and having most of the tunes now in use in the Churches and Chapels in England, he will be happy to WRITE MUSIC for the use of Families in their private devotions, in or about Sydney. - Please address J. O., Australian Office. JOHN ONIONS. Teacher of the Clarionet and German Flute, Writer of Music, &c., Elizabeth street South, two doors from Park street.
. . . Ann Lindsay, free by servitude, per the ship Southwell, was indicted for having, on the 30th of March, 1840, committed the crime of bigamy, by marrying one John Handley, a ticket-of-leave holder, in the district of Campbelltown, she having been lawfully married at Sydney, by the late Rev. Richard Hill, to one John Brown, on the 23rd of January, 1833, the said Brown being still alive. In opening the case, the ATTORNEY GENERAL stated that, in consequence of the death of the Rev. Richard Hill, and also of one of the witnesses named John Onions, he should only be able to give secondary evidence of the first marriage . . .
One identifiable Wesleyan musical work for which John Onions may well have led a performance, was the funeral ode by John Beaumont, Alas! alas! and is the spirit fled, sung at the evening service at the Wesleyan Chapel, Macquarie Street, on 6 August 1826, when the Rev'd Ralph Mansfield read a funeral sermon for the the late Mary Cover Lawry, wife of the Rev'd Walter Lawry, and daughter of Rowland Hassall. Mrs. Lawry died in England, shortly after having returned there, but her death was commemorated by her co-religionists in Sydney as soon as news of it was received. AN ANTHEM, SUNG AT THE FUNERAL SERMON OF THE LATE MRS. LAWRY, IN MACQUARIE-STREET CHAPEL, ON SUNDAY EVENING, AUGUST 6, 1826. ALAS! alas! and is the Spirit fled? And is our Friend now numbered with the dead? . 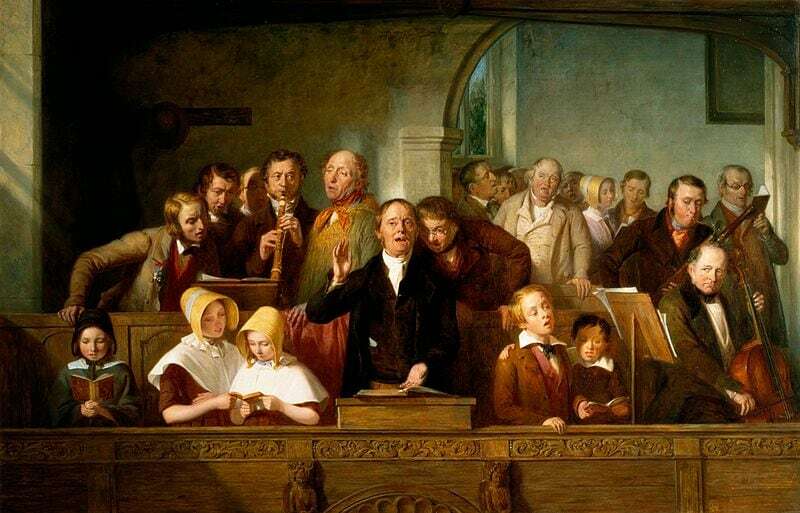 . .
John Beaumont (1761-1822), a Wesleyan preacher, first published the music in his Four anthems adapted for publick worship . . . . . . with a thorough bass for the organ, to which are added sixteen psalm or hymn tunes (London: G. Paramore, for the author, ). The words and music were reproduced, as pictured above, by Stephen Humbert in a Canadian collection in 1816. I shall just beg leave to mention the little concern I have had with music since I became a Minister - the reasons of my composing and publishing, and my views of introducing the praises of God into public worship. I have already said, that after my first becoming serious, I was about fourteen years without paying much attention to it . . . The first time I paid much attention to it again, was in Nottingham Circuit; then I began to write out a  few things for my own private use, just to refer to when necessary, and, from less to more, I went on till I had collected the volume which I first offered to the public . . .
All my own compositions have chiefly been the impressions of the moment, occasioned by some peculiar circumstance. My first anthem was occasioned by my wife's affliction, Have mercy upon me, O Lord, for I am in trouble. My second was to encourage myself under it, I cried unto the Lord, with my voice did I make my supplication. My third was composed on her recovery, It is a good thing to give thanks unto the Lord, and to sing praises unto thy name. The last was to return thanks to God for her recovery, In thee, O Lord, do I put my trust, let me never be ashamed. My Funeral Ode was composed on the death of a good young man at Hathorn, in Leicestershire, of the name of John Harriman, "Alas! alas! and is the spirit fled? and is my friend now numbered with the dead?" . . .
RIPPON's COLLECTION OF HYMNS will be purchased of any Person having such Book to dispose of, by applying to R. HOWE.